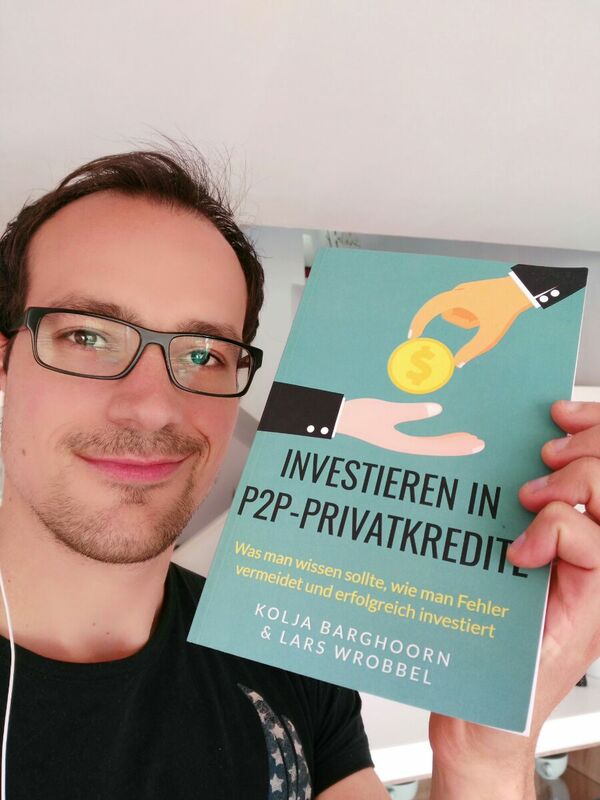 Our German investors Kolja Barghoorn and Lars Wrobbel are co-authors of the popular P2P investment guidebook “Investieren in P2P-Privatkredite” in German but for neither of the 31-year old men investment is not the first priority. Kolja runs a web video production firm and Lars works as an IT expert, while writing books, writing for a P2P blog Passives Einkommen mit P2P-Privatkrediten and starting a web-based fashion business. From their busy schedules they found the time to speak with us. What was your first investment and what did you learn from it? Kolja: A German company from Munich called Infineon. It went really well, I managed to make an ROI of about 350% and I learned that it was pure “beginner’s luck” since I invested in March 2009 which basically was the best time ever to buy stocks. How have you evolved as an investor? Kolja: I have become much more serious and humble in investing. I try to stick to the things I know and never invest serious amount of money without understanding exactly where my money is going and what risk I am incurring. I am mainly a buy-and-hold investor and almost never sell my investments. Lars: With the end of my active trading career at the sport markets in 2011 I changed my direction and learned to earn money on the passive way. In my case writing books. A few years later I expanded the passive earning of money on the stock market with ETFs and a bit later with P2P. I wish I had earlier recognized how pleasant passive investment was. Describe your investment strategy? How do you divide your portfolio and what is the optimal allocation in your view? Kolja: I like the buy-and-hold approach. I like incurring risk but never as much that it could seriously harm my financial stability. I mainly invest in my own company and in index-funds such as ETFs on the S&P 500, MSCI World and M-DAX but I also own a fair amount of common stocks (mainly German, Spanish and American companies). I also invest in other private ventures – for example I have some investments in Book-Projects that do very well for me and will make further investments therein in the future. P2P is also a nice investment sector which I’m now getting more and more comfortable with and where I’m allocating more of my funds nowadays. Lars: My investment strategy is based on 3 main components. 1. ETFs, 2. Shares that pay dividends 3. P2P. If the stock market is at a very high level (in my view) I invest more in P2P. If the stock market is on a lower level I change the focus. P2P investment I an excellent alternative at bad times in stocks. How much does your daily work and interest influence your investment strategy? Kolja: It influences my investment decisions a lot because I work on web videos that concentrate on investing and therefore I study and read a lot about investments, mainly stocks but also other subjects like the overall economy. The work I do there influences not only my investment decisions but also my business decisions – basically everything is influencing everything. It is always important to stay inside your “circle of competence” like Warren Buffett says and to stick to the strategies that one knows and that let you sleep calmly at night. Lars: My daily work doesn’t affect my investment strategy. Do you prefer short or long term investments and does that reflect on your personality? Kolja: I almost never invest for the short-term. In fact, the investments which earn a short-term return I almost always reinvest not only because of the taxes, costs and compounding do I prefer long-term investing but because I think it is much more enjoyable. I like the whole process and the allocation of money more than spending it. Lars: I prefer long term investments and it actually reflects on my personality as well. In your opinion, what is the best way to start investing? Kolja: I think the best way to start investing is to read 1-2 books about the main subject of the investment whether it is common stocks, P2P or bonds. You have to know what the basic principles of the investment are, what are the risks you are taking and then just start with small, incremental amounts and get used to the process. I think the whole investing process is a craft. You don’t get better just by reading or by discussing on the internet – you get better by thinking yourself and acting on your own reasoning and by accepting the harsh reality of your decisions and results. You have to be brutally honest with yourself. Lars: The best way to start investing is just to start investing. You have to experience it – there is no other way to start. Of course you can avoid some mistakes by reading books but you have to make your own experience and you must find an investment that is right for you. Start with small amounts until you understand the investment and feel safe. Please share your golden rule of investing with our readers. And is there a particular book you could recommend? Kolja: My golden rule of investing is “Never test the depth of water with both feet”. My favorite book on investing is “The Intelligent Investor” by Benjamin Graham, the new edition with commentaries from Jason Zweig who also has a very good blog. Lars: My favorite investment book is “Souverän investieren mit Indexfonds und ETFs” from Gerd Kommer. My golden rule is: “Know your investment. If you know your investment you are more relaxed in your decisions”. What fascinates you most about P2P lending? Kolja: I like P2P investing because it has very little risk-correlation to my other investments and because it doesn’t require much time. With P2P I focus on automatic portfolio builders to earn a passive income and spending not much time with the portfolio, only when I have new funds to invest. Lars: P2P lending is a very exciting form of investment because it is very different from one platform to another one. And of course you can earn good yield there. Furthermore I like the automatic investment opportunity because time is the most valuable thing in life. How did you find Bondora and how would you describe the experience? Kolja: I found Bondora through my friend and business partner Lars Wrobbel who introduced me to it when we were discussing our ideas for a book on P2P investing. Bondora offers a much more simple way of investing than platforms in my own country and so far everything is working nicely. Lars: I started investing on Bondora in the end of 2014 and built a small portfolio to play around with and which was also useful for my book. Bondora offers an excellent yield and is easy to use. But in comparison to other platforms outside Germany I think that Bondora looks a little bit overloaded for new investors. So, I suggest to do a little bit more for your transparency and simplicity. What has been your best investment so far in life? 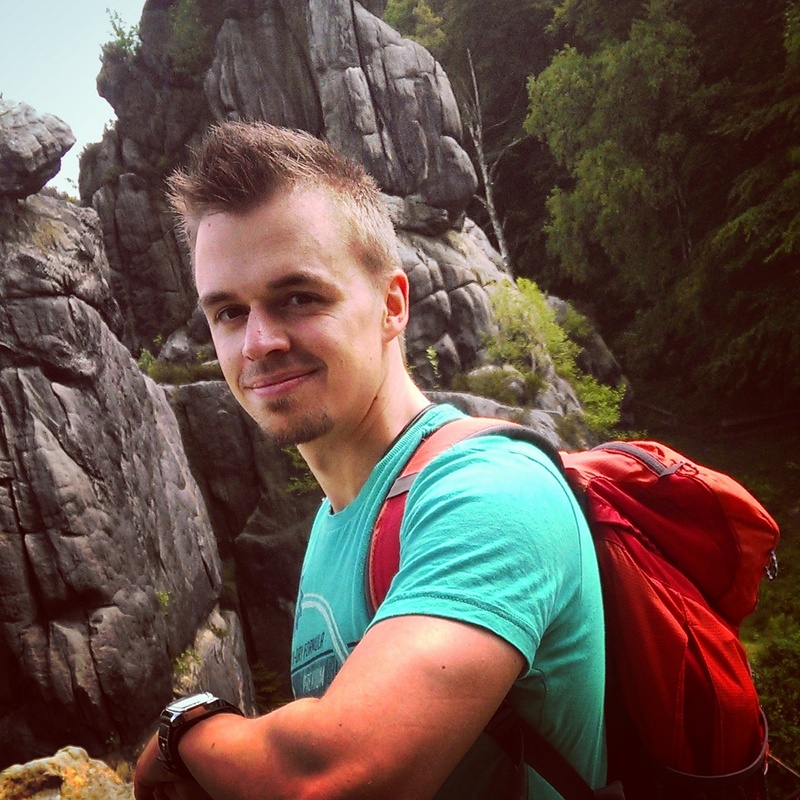 Kolja: The best monetary investment of my life has been the investment of about €12,000 into my digital film & animation diploma at the SAE Institute in Berlin. There I learned how to research, produce and edit videos. Something I love doing and have been doing for almost 10 years now and which has earned me not only good money but also a lot of joy and experiences from my viewers. Lars: The best investment in my life has been my first book because this has lead the way to all my other online business activities. Looking back at this investment I learned that it is often the first step in everything you do in life which forms the foundation for greater things. So, it is very important to get things done because on the way you may find new opportunities which can change your life later on.